Once a week, Richard Meier can be found at his model museum in the expansive Mana Contemporary arts complex in Jersey City. This is where he comes to work on collages, collaborate with screenprinter Gary Lichtenstein, and visit with his daughter Ana, who runs a furniture showroom next door. 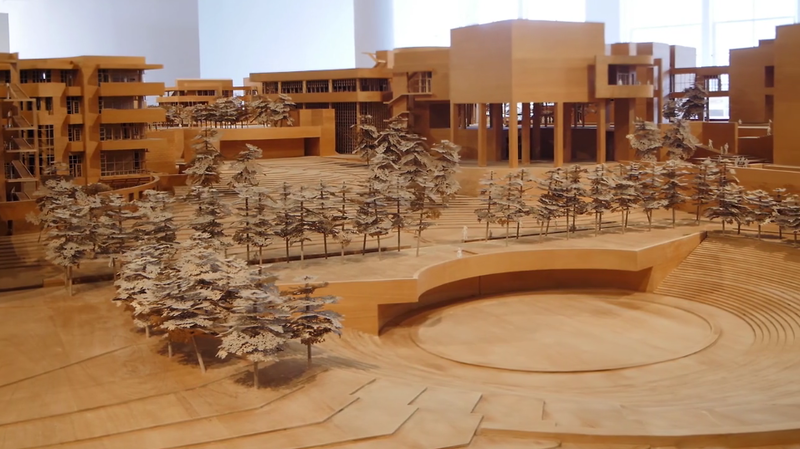 The 15,000-square-foot Richard Meier Model Museum is filled with some 300 models of the architect’s work—from the Getty Museum in Los Angeles to his proposal for the World Trade Center site in Manhattan. The museum also includes exhibition space for Meier’s sculptural work and a library with 1,000 books and magazines from his personal collection. The Architect’s Newspaper recently toured Mana Contemporary (a former tobacco factory) with its founder and director Eugene Lemay, and sat down with Meier himself to learn about the model museum and how his design process has changed over the years. More from our conversation with the architect is posted below. AN: Describe your typical day at the model museum. 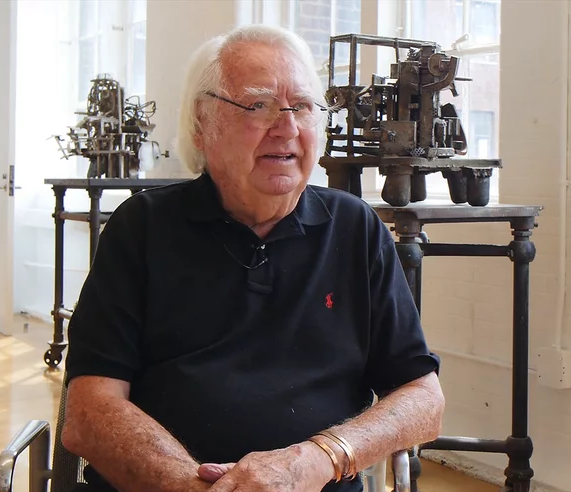 Richard Meier: First I have some coffee and sometimes I read the newspaper and then I start working on collages. I come out here—it’s nice and peaceful and quiet. It is very different from working in the office. Next door is Gary Lichtenstein’s studio—he is a print maker—and I make prints with Gary. We do things together that would not be possible if we did not have this space. Today, so much of architecture and design work happens on computers. To you, what is the importance of craftsmanship, drawing, and model making in a digital age? One augments the other. All of our drawings are done on a computer, but that does not mean that models are not also helpful. We continue to make models of every project as part of the process. If I had my druthers, I would do more things in New York. It is a lot easier to get together, to meet, to talk about what we are doing. But today things happen and you never know where the next project might be coming from. Anything else people should know about the model museum or Mana Contemporary? It is an amazing sort of area. Within the building, there is a dance company, there are other artists, it is sort of a place to visit in the same way people visit galleries in SoHo or Chelsea. It is nice and quiet, and for me just a great place to work outside of the office. I can do things here that I would not be able to do in the office.